Every business includes a few dirty jobs. Heavy duty cleaning requires heavy duty products. Landrum Chemical provides industrial cleaning supplies and solutions that fit the unique needs of your business. We understand the importance of maintaining a clean and professional business, and we are committed to helping you and your facility look its best. Cleaning is more than elbow grease. From the latest cleaning solutions to industrial products, we offer the best specialty chemicals and custom solutions to keep you clean and polished. Using environmentally friendly water-based industrial cleaning chemicals, we provide everything you need to stay running clean, including degreasers, soaps, floor cleaners, and all purpose cleaners. 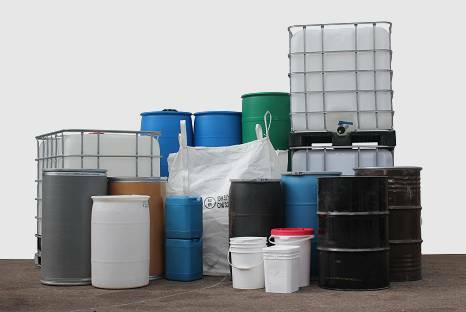 We process bulk orders for large and small packaging of custom blended chemicals with quick turnaround times. To create a custom industrial cleaning solution specifically designed for your needs, we can provide personalized scent, color, and private labeling services for many of our solutions. Our degreasers and soap products utilize the latest in chemical manufacturing techniques to bring you the strongest and safest materials for your business and the environment. For automatic power floor scrubbers, we provide a low-foaming solution designed to remove touch stains from hard-to-clean surfaces. Extracted from the citrus rind, D-Limonene is both safe and effective. It may be used as both a solvent and a water-dilutable product. As a solvent, D-Limonene is a natural alternative to harsh chemicals such as methyl or acetone. As a water-based cleaner, D-Limonene brings an organic option to households, businesses, or industrial settings to remove grease, grime, and residue. Our vehicle cleaning solutions are among the best in the industry. We offer a complete line of car wash products including a heavy-duty cleaning solution for trucks and industrial equipment that requires an extra layer of muscle. Whether you have an automatic, touch-less, or friction system, we provide the best in cleaning products to exceed the expectations of your business and your customers. A few of our other cleaning chemical options include caustic cleaners, all-purpose cleaners, floor wax strippers, print industry cleaning products, and custom blended solutions.